Located on the delta of the river Kagami, called the river mirror due to the purity of its waters, the port of Kochi is dominated by a castle from the 17th century. 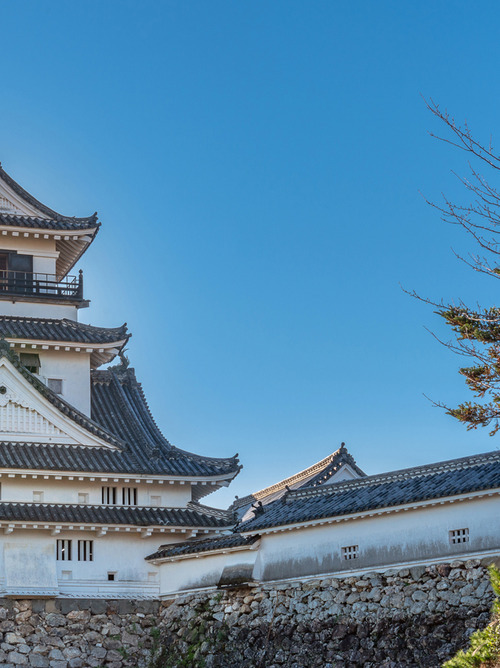 Kochi Castle was built between the 17th and 18th centuries and is the symbol of the city. Romantics will surely take a picture on the Harimayabashi Bridge, red lacquered and the scene of a tragic episode of unhappy love between a monk and a woman. The coast of Tatsukushi is located at the southern end of the island of Shikoku in the Ashizuri-Uwakai Wildlife Park and offers a magnificent view of the Pacific Ocean. Kochi is loved by foodies for the katsuoboshi, a specialty of small flakes of dried tuna fillets. The 88 temples of Shikoku Island are the object of the Shikoku pilgrimage and are cherished in Japan.